If Ayoze Perez does leave Newcastle United this summer, he'll have done his bit for the club. 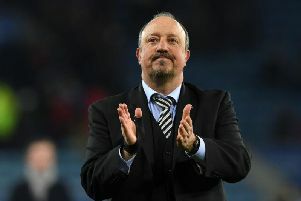 But tonight's match-winning performance showed why he should be kept at St James's Park – along with Rafa Benitez, whose name was being sung by fans long after the final whistle. Just over a year after scoring a stunning goal at the King Power Stadium, Perez did it again, this time with his head. Perez's first-half goal gave Newcastle a hard-fought 1-0 win over a Leicester City side which had won its last four Premier League games. The result also saw United go 10 points clear of the relegation zone and reach Benitez's 38-point safety target. The club isn't mathematically safe, but manager Benitez can now thrash out his future with owner Mike Ashley knowing the club will be in the top flight next season. 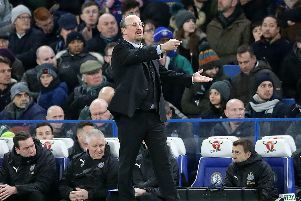 Perez recently hinted that it would soon be "time for a change", though Benitez won't want to change his front three if he does stay at the club. The forward was superb against Leicester alongside on-loan Salomon Rondon and Miguel Almiron, the club's January signing. Perez's strike took his Premier League goal tally for Newcastle to 28, putting him level with Craig Bellamy, Obafemi Martins and Gary Speed in the club's goalscoring chart for the division. The 25-year-old can get a lot higher up that table, though. Benitez had made two changes for the game, dropping DeAndre Yedlin – he was replaced by Javier Manquillo – and starting Paul Dummett in place of the injured Florian Lejeune. Jonjo Shelvey had been on target in a 2-1 win for Newcastle at the King Power Stadium just over 12 months earlier, but the midfielder, again, was on the bench along with Mohamed Diame, who is two starts away from triggering a one-year contract extension at the club. That win was one of the highpoints of last season, and this result was just as special given that it effectively got the club over the finishing line. After Jamaal Lascelles tested Kasper Schmeichel with an early header from a corner, Leicester went on to dominate the first 15 minutes. However, United, defending deep and in numbers, managed to contain their hosts, and Miguel Almiron, a tireless runner, caught the eye for his workrate without the ball. Newcastle, loudly backed by 3,000 fans in one corner of the stadium, had another chance in the 16th minute when Wes Morgan fouled Ayoze Perez 25 yards from goal. Salomon Rondon stepped up and struck the crossbar with a superb free-kick which had Kasper Schmeichel beaten. Martin Dubravka was equal to a low shot from left-back Ben Chilwell at the other end of the pitch. United's goalkeeper fumbled an effort from Harvey Barnes as Leicester tried again to attack down the visitors' right side. Newcastle were disciplined and organised, and they carried a threat on the break. And that threat delivered a goal in the 32nd minute. 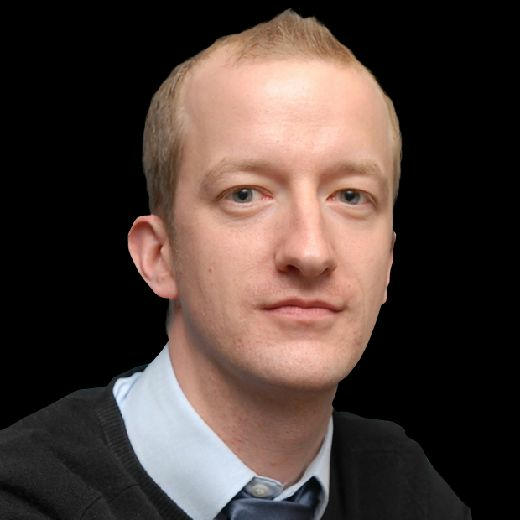 Matt Ritchie took the ball beyond Ricardo Pereira and crossed for Perez, who got ahead of Wes Morgan to flick a header over Schmeichel and into the net. The striker from Perez – who also netted at the King Power Stadium last season – took his goal tally in all competitions to eight. United took their advantage into the break and re-emerged determined to hold on to it. They created a couple of chances early in the half, the best of which fell to Perez, who miskicked from a Rondon cross with Almiron stood behind him. The midfielder, still looking for his first Newcastle goal, had even started to swing his foot in anticipation. Almiron put another effort over the bar after Fabian Schar ran from his own half. Leicester steadied themselves and starting pushing for an equaliser, and Jamie Vardy put a chance over the bar with 10 minutes left on the clock. Brendan Rodgers' side, however, couldn't unpick United's defence. Speaking earlier this season, Benitez said it would be a "miracle" if the club stayed up given the lack of investment. Benitez has performed another miracle at the club – and Ashley simply must keep him at St James's Park. LEICESTER CITY: Schmeichel; Pereira, Morgan, Maguire, Chilwell; Ndidi (Mendy, , 72); Gray (Iheanacho, 72), Maddison, Barnes (Albrighton, 80), Tielemans; Vardy. Subs not used: Ward, Evans, Fuchs, Okazaki. NEWCASTLE UNITED: Dubravka; Manquillo, Schar, Lascelles, Dummett, Ritchie; Perez, Hayden, Ki (Diame, 82), Almiron (Atsu, 78); Rondon. Subs not used: Darlow, Shelvey, Muto, Fernandez, Yedlin.